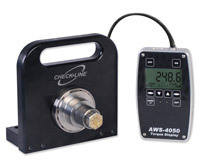 Checkline's impact torque testers are specially design with extra-rugged construction for the demanding job of testing impact wrenches and tools. 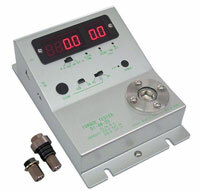 The torque measuring transducer is fixed in heavy-duty frame designed for secure bench top mounting. 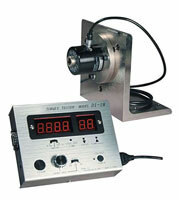 Run-down-fixture are offered to simulate real-world application conditions, allowing the impact tool motor to ramp-up to freely rotate several times before building resistance to rotation. Don't see what you need? Contact us to review your application. Custom built models are available.